President Maitripala Sirisena’s sword is lost! Stuck somewhere. It was a powerful tool that could destroy the corrupt-whoever that may be. He who finds it, deserves the crown of Lanka for he alone can deliver the goods: end the corrupt system and launch development sans corruption. A famous story in King Arthur’s Legends comes to my mind. One legend tells of a lost sword that is later found stuck and embedded in a rock. The challenge went round that the person who is able to extricate the sword from the rock without damage will be King of England. Numerous persons took up the challenge; but all of them failed. Arthur, then no king, went up and managed to pull out the sword. This is how he became King of England and later unified the kingdom. Likewise, is this mysterious sword of Maitripala Sirisena – our President. In his case, he had the sword; didn’t use it; it got lost and stuck somewhere and somebody who can take it out should win the crown of Sri Lanka-Paradise! President Sirisena became suddenly belligerent and passionate about public corruption during the recent local government elections. He went about like a Samurai swaying this sword and warning all and sundry that he will fearlessly use it and stamp out the corruption that has been endemic in the island since the days of the Rajapakse family dictatorship. His threatening stare was aimed at Prime Minister Ranil Wickremesinghe and his party, too. And this, regardless of the fact that it was that party which worked to have him elected President in 2015. He was so committed, that even those who enabled him to get into the President’s chair could not be saved. “Sorry, Ranil,” he sought of said. It was almost as if he had followed the Bhagawad Gita line about duty being foremost. It was evident that nobody believed Sirisena’s threat as he had such a miserable showing in the results. People remembered that he was a high profile Minister in the Rajapaksa cabinet but did not bat an eyelid about Mahinda’s abuse of power and the widespread corruption of his regime. Sirisena and the rest of the cabinet watched over all that and they watched over the murders and disappearances of dissenting journalists during that time. He had also participated in the foul acts of faking charges and jailing Sarath Fonseka after a controversial coup hearing. So did he watch and participate in the foul event of removing the Chief Justice. Maitripala never showed an iota of passion or principle about these and other outrageous acts. The election gone, and we hear no word about stamping corruption anymore. The ‘horu allanawa,” slogan is still lost as we find that court cases against the former bigwigs Gota, Basil, Wimal Weerawansa, Aluthgamage, Gammanpila, Johnston etc etc are being postponed into long dates. Communal riots are being organised by opposition forces. Thugs from outside are being organised to disrupt the country and bring down the government before it reaches its mandated time. Maitripala Sirisena looks on satisfied with issuing some vacuous threat or another. The Prime Minister cannot take too much on his plate and handle the portfolio of Law and Order. He and his party has been insisting that the only man who can do that job be given the portfolio and that is Field Marshall Sarath Fonseka. However, the President has not acceded because of the pressure of Mahinda’s men outside and inside the Sirisena administration. There is a lot of talk going round that Sirisena has been persuaded to align with his former enemy camp-the Pohottuwa boys. 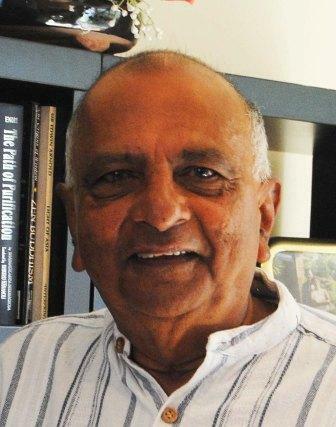 The rumour is that his own brother Dudley, who is a big business magnate and friend of Gotabaya Rajapaksa, is acting as the bridge between the Pohottuwa camp and Sirisena. If this is true, then Sirisena has really thrown that sword away and joined the thieves. There was no need for a hopper feed this time. 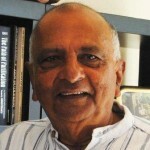 Thus, a hopeless game is on that is dragging down the country and even undermining the significant gains that have been made during the last three years when Maitripala was working with Ranil Wickremesinghe and the UNP in a stable condition. Who will find that sword again?